Posted December 20, 2010, 5:04 PM. At this point all thirteen rain gauges in the WeatherCurrents network should be reporting normally. 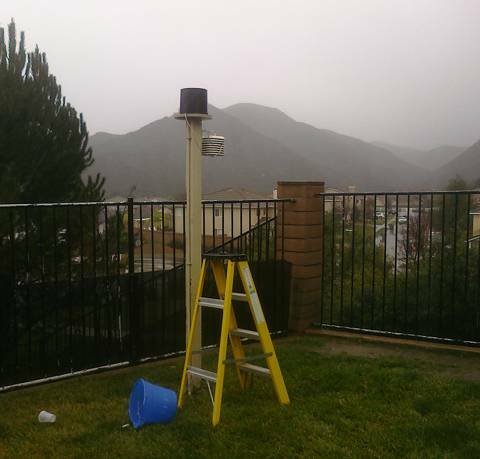 The Murrieta rain gauge was unclogged this afternoon. A couple of pictures of the clog and the setup are below. Water was poured slowly back in through the gauge, so yesterday's totals are too low and today's are too high, but the storm totals should be on target. 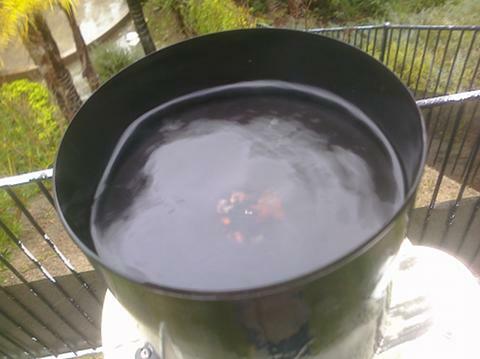 The Moreno Valley gauge was unclogged this morning. Water was also poured back through there, and corrected this afternoon using another source about a mile away. The corrected totals for yesterday and today are believed to be accurate for that location.